1. 14/365, 2. Welcome to our Atelier!, 3. fawn, 4. It was 6:30 a.m., 5. Manga Girl by Team Sibley, 6. Mikaela, 7. Alessa appreciation, 8. Girl En, 9. new shoes, 10. 52.52, 11. abrigo con capucha, 12. .outfit*remix. Ever since I joined Flickr in 2006 I've been constantly seeing and making favorites of many of the beautiful pictures with Blythe dolls in there. I specially love the fact that they're very customizable and that you can make them look like you. The closer I got to have one was to buy one of those little ones that come with a horse from the Littlest Pet shop series (my daughter's favorite toys by the way). And now, I'm finally getting my own! After years of wanting one... I finally splurge myself... and I even ordered some eye chips so she has my brown eyes and I want to make her face matte as well. I'm already thinking about making her hats and scarves (when I learn to knit!) and buy her a little pair of glasses like mine. We're going to have so much fun! Prepare because it will be lots of pics of her (and maybe even paintings!) It would be like a mini-me! I need to start thinking in what her name will be. I'll show her to you when she arrives... I think it will take a bit though, she's traveling all the way from Japan, but If I already waited 5 years I can wait a few more days. Ooooh I'm so excited! I just can't wait! That's really awesome. They are so wonderful. 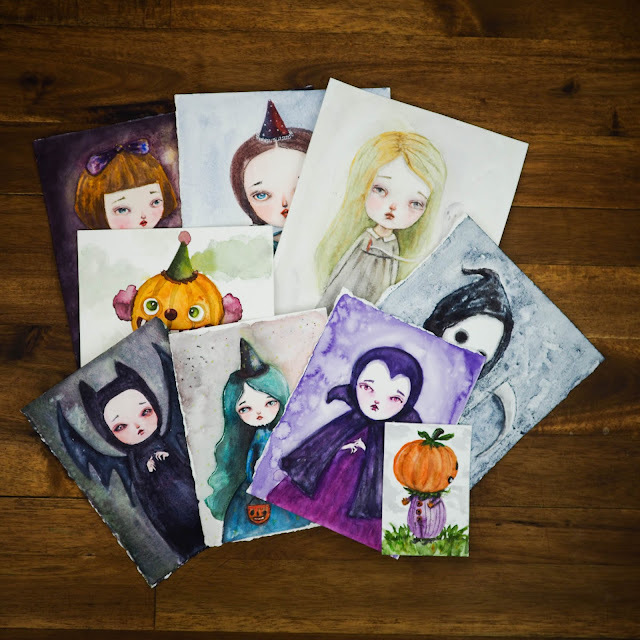 I love Blythe too! Those big eyes just get me. :) I am glad you are getting one of your own and look forward to your pics. Happy Weekend. Oh yay! I'm so happy for you to get your own. I love Blythe and pine for one too. My daughter and I got the LPS one that I sewed a dress for. Someday, a real one! Can't wait to see what you do with her. I know what you mean. They are sooo cute. I have been resisting the urge to buy one. Congratulations! I can't wait to see your blythe!!! 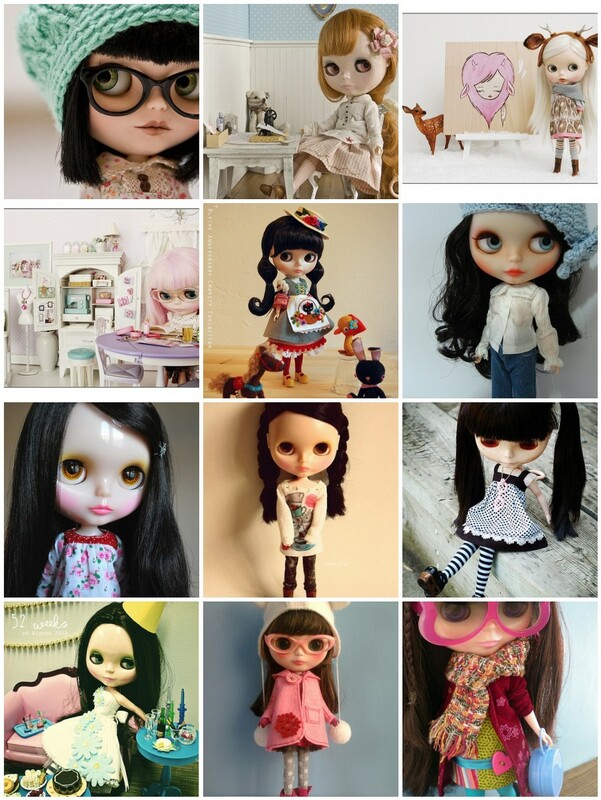 I have been totally obessed with Blythe forever as well! I'm trying to talk my MIL into buying me one! This is my first time visting your blog and so far I love it.I have 2 blythe dolls and I love them a lot like the other blythe dolls that I love!That was a good image that you posted.Congratulations on your first blythe doll!